Type locality: Rade de Brest, Finistère, Bretagne, France (Woelkerling 1998: 391). Neotype: collector not indicated but like to be P.L. & H.M. Crouan; date not indicated; no habitat data on type. BM Algues marines du Finistère, No. 242 (Irvine & Chamberlain 1994: 180). Notes: Isoneotypes: PC, Algues marines du Finistere no. 242, Thuret-Bornet Herbarium (algal fascicle 131, filed under Lithothamnion), includes printed label; PC, Algues marines du Finistere no. 242, Cryptogamic Library in the seperately preserved exsiccata, includes printed label; PC, no. 242, General Herbarium box collection (non-fossil; filed in non-geniculate coralline type collections cabinet under basionym) (Woelkerling, 1993: 390). Records for Norway are doubtfully correct and re-examination of specimens from Scotland revealed Lithothamnion glaciale (Irvine & Chamberlain, 1994: 180; Jason Spenser-Hall, pers.comm.). The northerly limit is probably on the west coast of Ireland. Records from Mauritania and the Cape Verde Islands have not been confirmed (Irvine & Chamberlain, 1994: 180). 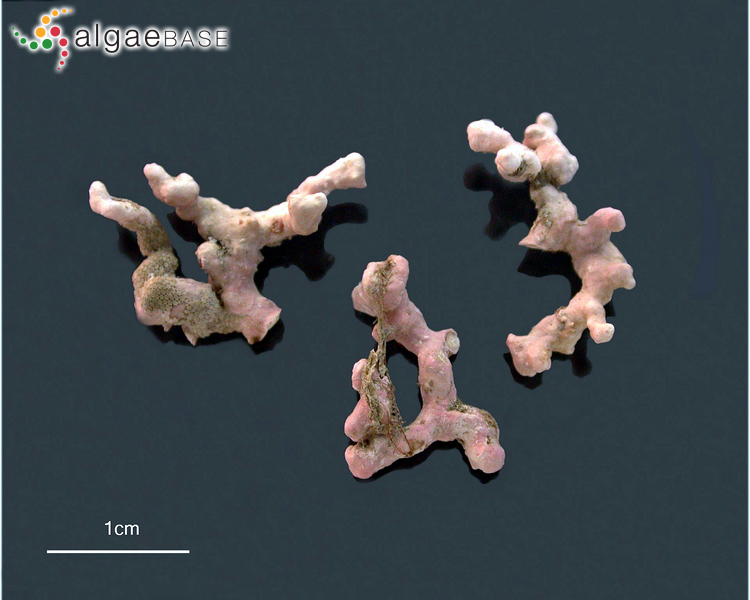 English: Maerl (Bunker et al. 2010). Blake, C. & Maggs, C.A. (2003). Comparative growth rates and internal banding periodicity of maerl species (Corallinales, Rhodophyta) from northern Europe. Phycologia 42: 606-612. Hernández-Kantún, J.J., Riosmena-Rodriguez, R., Hall-Spencer, J.M., Peña, V., Maggs, C.A. & Rindi, F. (2015). Phylogenetic analysis of rhodolith formation in the Corallinales (Rhodophyte). European Journal of Phycology 50(1): 46-61. Accesses: This record has been accessed by users 19135 times since it was created. Hall-Spencer, J.M. (1995). 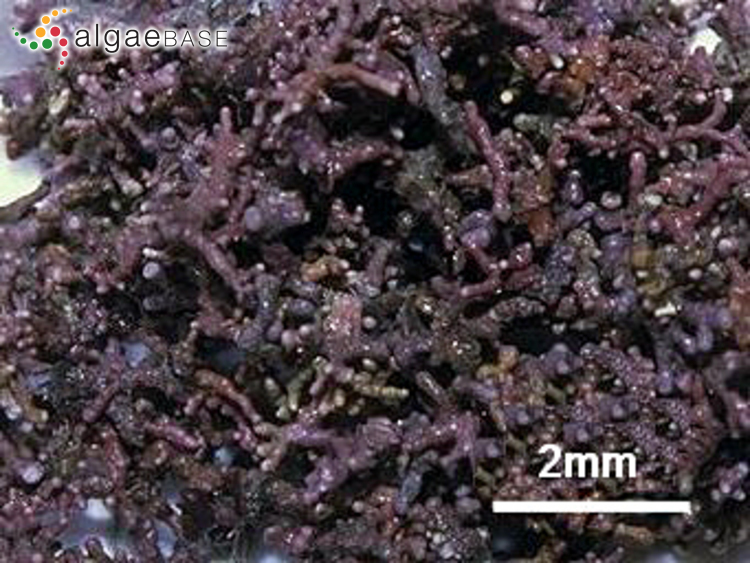 Lithothamnion corallioides (P. & H. Crouan) P. & H. Crouan may not extend into Scottish waters. Coralline News 20: 1-3. Hamberg, M., Gerwick, W.H. & Åsen, P.A. (1992). Linoleic acid metabolism in the red alga Lithothamnion corallioides - biosynthesis of 11(R)-Hydroxy-9(Z), 12(Z)-octadecadienoic acid. Lipids 27(7): 487-493. Noisette, F., Duong, G., Six, C., Davoult, D. & Martin, S. (2013). Effects of elevated pCO2 on the metabolism of a temperate rhodolith Lithothamnion corallioides grown under different temperatures. Journal of Phycology 49(4): 746-757. Potin, P., Floc'h, J. Y., Augris, C. & Cabioch, J. (1990). 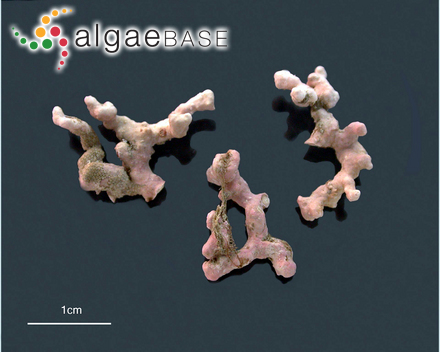 Annual growth rate of the calcareous red alga Lithothamnion corallioides (Corallinales, Rhodophyta) in the Bay of Brest, France. Proceedings of the International Seaweed Symposium 13: 263-267.